Forget the image of an ancient bottle of port collecting dust in your grandparents' liquor cabinet. For imbibers in the know, fortified wine, which is a wine that’s been combined with a distilled spirit, is cooler than ever, whether it’s a great dry vermouth in your martini, a multilayered piece of tropical artistry at your local tiki bar or a simple nip of sherry after dinner. With a newfound appreciation for classic and new-wave fortified wine cocktails alike bolstering a love for the wines themselves, the word trend seems inadequate: This centuries-old category is in the middle of a full-on resurgence. Here's what you need to know. What Does "Fortified Wine" Even Mean? “Fortification is a winemaking method that involves the addition of a certain amount of grape spirit into a wine in order to slightly raise its final alcohol content,” says master sommelier Lucas Payà, who serves as the national brand educator (U.S.) for Spanish sherry and brandy producer Bodegas Lustau. “This practice originated centuries ago in the need to stabilize wines, which were to be consumed in distant markets and thus needed to be ‘protected’ during their long overseas voyages." Today, as Adrian Bridge, CEO of The Fladgate Partnership in Porto, Portugal, explains, “Port’s history goes back to the late 1600s, and now new generations are again discovering these great classics.” Take Croft Pink, the world’s first pink port and a recent addition to the market, which is helping to reinvigorate bartenders’ and consumers’ interest in port, both on its own and in cocktails. And while new products help to propel the category forward, the appreciation for its history continues to grow, too, thanks to the people behind organizations like The Last Drop, who scour the earth for rare, exclusive and often insanely old spirits. 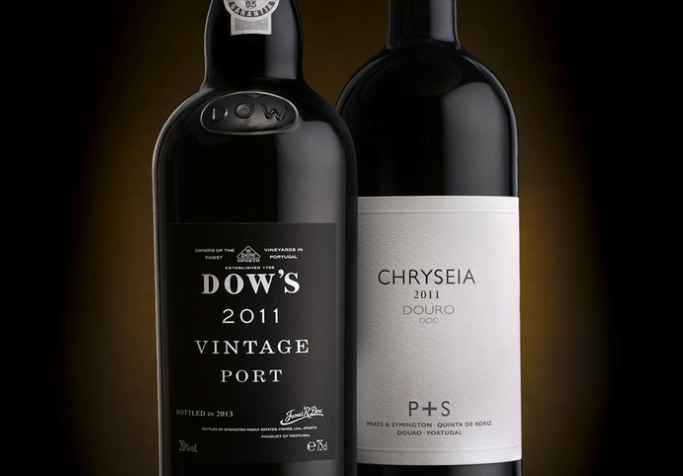 Their latest undertaking involves a duo of aged tawny ports spanning 100 years (1870 to 1970), selected and blended by Cristiano Van Zeller of the Van Zeller family, one of the most revered names in the port world. Meanwhile, over in Pessione, a small suburb of Torino, Italy, those who pay a visit to Casa Martini, home to Martini & Rossi, can explore the iconic brand’s booming wines business from its founding in 1863 to present through a museum tour cocktail classes and a make-your-own-vermouth experience. Not all fortified wine is sweet, so don't make the mistake of thinking it's just for dessert. Depending on how it's made, it can also be quite dry. However it tastes, it is always high in alcohol. The most well-known kinds are sherry, port and Madeira, but others are not to be overlooked. There's also Commandaria, an ancient sweet wine from Cyprus; Marsala, a Sicilian fortified wine made by blending with brandy; and Moscatel de Setúbal, a Portuguese wine generally fortified with aguardiente. Vermouth is technically a subcategory known as aromatized wine, which means it contains flavoring agents like herbs, spices and/or fruit. The aromatized wine subcategory also includes quinquina—think Lillet, which is made with chinchona bark for quinine—and Italian variation Barolo Chinato, made using Barolo wine and a variety of other aromatics; lastly, Americani (singular: Americano) are also considered aromatized wines and are defined by the use of gentian root. Also worth a mention is mistelle, defined as being a grape juice mixed with a spirit—in this case, it serves as an ingredient in some fortified wines, but when the grape juice is fermented, it becomes a fortified wine itself. Fortified wines are meant to be sipped neat as an apéritif or digestif, but can also be phenomenal in cocktails, as many bars across the country are proving. Look no further than NYC's ever trendsetting cocktail scene to get a scope. In the West Village, Wallflower proprietor and bartender Xavier Herit’s affinity for sherry has earned the bar a reputation for both creative and reliably balanced sherry cocktails; at Mario Batali’s Del Posto, head bartender Estelle Bossy is a proponent of the Bamboo, a classic 1890s Japanese sherry cocktail and a mainstay of the restaurant’s acclaimed bar program. (Try making its predecessor, the Adonis, at home with this recipe). Buzzy financial district bar BlackTail is a hotbed for fortified wine cocktails layered with complex ingredients, like the Parkeroo (Boston Bittahs, Falernum, pineapple syrup, yuzu cane syrup, fino sherry, Don Amado mescal and green pepper-infused Tequila Cabeza) or the Arawak (absinthe, vanilla syrup, Galliano Ristretto, Angostura amaro, PX sherry, Campari, Cocchi Vermouth di Torino, rum mix and Bacardí 8). And inside the Park South Hotel, Covina’s robust cocktail menu features an impeccable Boston Flip made with bourbon, Madeira and a whole egg. In other corners of the world, fortified wines are celebrated in simplicity and tradition; in Spain, vermouths are often served chilled with a splash of soda, and in Portugal, port is imbibed similarly with tonic. And these are, of course, just a few examples of how you can enjoy fortified wines. But like with any other wine or spirit, what matters most is how you like it.